With his first film Sathuranga Vettai, director Vinoth made heads turn in Kollywood. The movie’s close to real life portrayal of characters, scams and the way they were aesthetically delivered by Nutty managed to make it a cult classic. 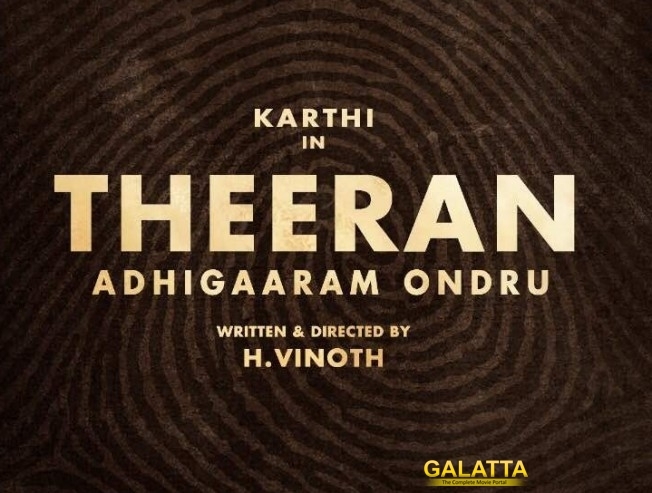 Director Vinoth is coming back with Theeran Adhigaaram Ondru featuring Karthi as a police officer. The film is produced by Dream Warrior Pictures. The first look poster is coming on June 30th, this Friday and possibly a teaser should be out soon. Some photos from the shooting spot were released earlier online. >> Suriya & Karthi at Arya and Sayesha Wedding!